Thankful. That's what I am for the many sweet moments there are between Charlee and Andee. Moments when it doesn't matter where we are or what we're doing. We are together, no agenda, no where we have to be, no distractions, in the moment and they are loving each other like only sisters can. Today we had one of those moments. At the mall. We don't go to the mall, like ever, because I'm not a huge fan, but today we were on a mission to find a Minnie Mouse backpack for Andee which took us to The Mall. Maybe my brain is on vacation already, but we walked past this cute candy shop and we had to go in to look at the plethora of Hello Kitty goodies. I just couldn't help myself today. I wanted to put a smile on my girls' faces and I knew just the way to do it. I mean, they were happy already, I just wanted to see it continue a little longer. So, I bought them candy. Yep, candy. At 10:30 am. Pure, unadulterated sugar. With dyes. With artificial flavorings. Only the best for them. Ha! I might be a little proud of this billboard near the 8 in San Diego. Why? Because that's my nephew on it! What?!?!?! 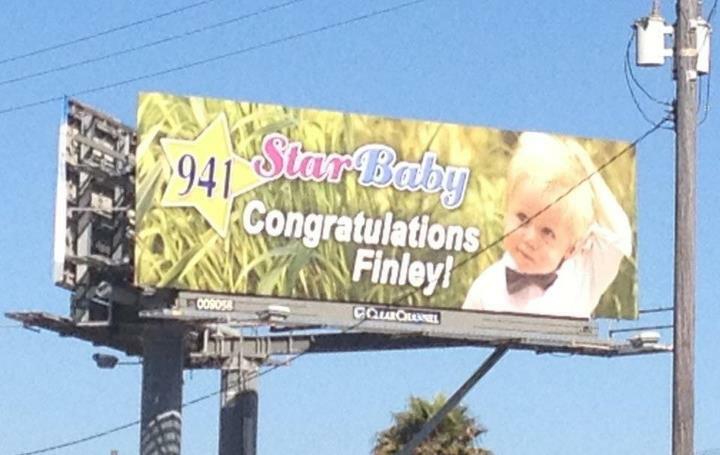 Yep, he's my brother and sister-in-law's little guy and his darling face is on this billboard because he recently won a contest. I know you're probably thinking, "Oh, they're those kind of people who think their kid is so cute they enter him in contests to win money." Furthest thing from the truth, my friends. I mean, he certainly is adorable and it's only right that he won the contest, but you wanna know why they entered him in the first place? To expand their family and bring home these two, equally adorable, kiddos. God is so good! These two babies are closer to having a Mama and a Papa because of this baby contest. So cool how God can use something as "worldly" as a baby contest to work all things together for good for His glory!!! You can read about their journey here. It's beautiful. I promise. Blessed. That's what we are to have a church that loves Jesus, teaches Jesus and serves Jesus. The past 3 nights of Summer Bible Camp were wonderful! Families laughed, worshiped and learned together. We love Dakota J and Redemption Kids. Charlee: I think we should go to Rubio's or someping. Why did I go to Rubio's last night? Me: Because Daddy wanted to take you out. Charlee: (After a brief pause, contemplating the situation) Would you like to take me out? Gotta love oh-so-subtle manipulation of a four and a half year old. Smart girl. Ha!!! Fun in the sun. I mean, shade. It's stinkin' hot outside, but for some reason Charlee doesn't seem to be phased by that fact and just wants to be outside. What is it about kids? They just don't care if it's 120 degrees or 20 below. They wanna play. Outside. Because it brings her joy. And she can show off her talents. And, basically, they're just happy outside. My little Charlee, we have so much in common. Tonight I took you to the first day of Summer Bible Camp, which is a little different this year because it's at night and the whole family attends together. Daddy and I are going to take turns taking you this week, and last night was my turn. You, my dear, are just so precious. We walk towards the chapel and towards so many faces you know and love, but tonight they are dressed in crazy costumes with makeup, etc. I can just see the look of concern on your face, like, "What in the world is going on here and am I going to be okay?" Rather than me reaching for your hand, you reach for mine. A gesture that says, "Mommy, please keep me close." And I love it because you trust me. You are excited and apprehensive all at the same time. You are such the observer. You truly don't miss a thing. Never have. You reminded me that last year you got sick during Bible camp and that a teacher took you to a classroom and gave you a pink cup to drink out of and told you you were "clammy." Yes, you even remembered that specific word even though it's been a year since that happened. The show started and you laughed, you asked a few questions, but mostly you studied everything very intently. And then the music started. Time to "get on your feet." Music at Bible camp means hand motions to learn. Yes, hand motions. And hand motions mean doing something new that you've never done before in the middle of a group of hundreds of people who could possibly think you look silly doing them. And this means you watch. You watch, you study and you remember. You don't try a single motion. And this is what we have in common. Your mama doesn't want to do them either. At. All. No thank you. Please don't make me move my body in such a way that might draw attention to myself. But these days, I do. At least I try. I try because I don't want you to know how much I don't want to do it either. Even after 33 years I struggle to let go. But I don't want you to know that. And you know what? When I do try to let go, I find that I kind of enjoy the hand motions after all. I ask you if you want to try the motions, but you say no and I respect that because I understand. God has given you a mama who gets it, who understands your struggle. Do I want you to try? Of course I would love that, but I will never love you any less if you don't. So, we get in the car after it's all over and, of course, you request to listen to the songs we just learned, but it's already quite evident that your favorite is "Our God". And I'd have to agree. Such a great song. We're cruisin' along and I smile and my heart fills with joy because in the rear-view mirror I see two little hands in the air doing the hand motions you just learned minutes before. Again, you don't miss a thing. You study intently and in your time you blossom. You continue to blossom before my eyes...in your time, which is ultimately His time. I love you, sweetheart, for the daughter you are...perfectly created for me and for Daddy. I'm reminded of something Charles Spurgeon wrote, "Who is better fitted to look after the child's well-being than those who are the authors of his actual being?" You were made for Daddy and me and we love you! 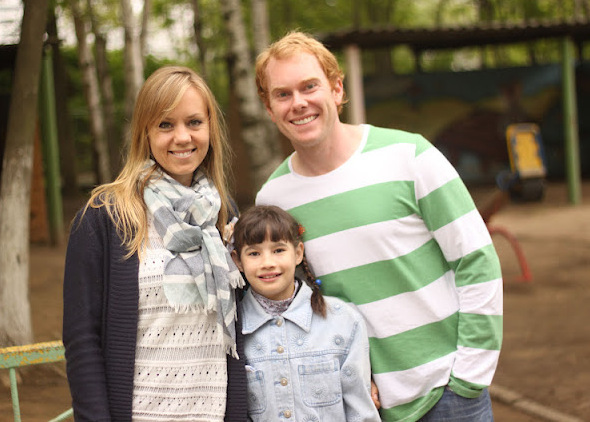 So, I know I'm slightly biased, but seriously Andrew and Amy are amazing!!! They have stepped out in faith knowing that He called them to be parents to Maria and to Elijah. The journey has been long, but God's faithfulness has been so clear and His love so abundant. You have to go here to read their story about meeting Maria for the first time...and you can expect tears, by the way! And here is where they introduce Elijah. 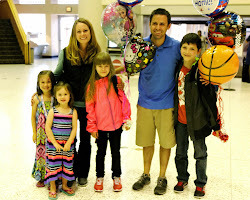 You really just have to visit Amy's blog to experience their journey firsthand. There's no way I'm going to try to retell it because I would fail in comparison to her words fueled by their passion. Andrew and Amy, I am so proud of the two of you! You are walking in the call of God upon your lives to "defend the cause of the fatherless" (Isaiah 1:17). I cannot wait to meet these two gifts. They are blessed beyond measure to have you as their Mama and Papa. One side note, Andrew and Amy are already wonderful parents to this little guy, my nephew Finley. Don't you just love their little family already?!?!? I have a love/hate relationship with mealtimes. If I've prepared a meal that I know the girls will eat, I love mealtime. If, on the other hand, I've prepared something I know the girls will not eat, I hate mealtime. Mostly dinnertime. I enjoy cooking and I love to sit together as a family for dinner. In fact dinnertime spent together as a family is of huge importance to me. I was raised in a family where dinners were spent together at the table. Even when my dad was traveling my mom, brother and I still sat down together. I have great memories of dinnertime. And now I have my own family. A 4 year-old and and a 2 year-old to contend with. I am not a short order chef and I don't make separate meals for the girls so that they are happy. I cook one dinner, but always try to include at least one thing on the girls' plates that I know they do like...usually fruit. We have one rule at our house when it comes to meals. We ask that the girls take 2 "thank you" bites of each of the foods on their plate without being asked. Now Andee's not quite there yet, but Charlee understands the expectation. The other night we sat down to dinner and there were two very ungrateful faces sitting across the table from me. Not cool at all. I got frustrated. In fact, one could say I was clearly irritated. I might have told Charlee to get down from the table because I was tired of seeing her ungratefulness. (Not a brilliant move on my part, but there was repentance later!) You see, it's not about the amount of food that's eaten, it's about the state of their hearts when eating it. It's not about whether they try new things, it's about whether or not they're grateful that they've been given food to eat at all. Irritated...check. Annoyed...check. Prideful...check. Sinful...check, check, check! Yep, that's me! Basically, I decided in that moment I was done cooking for them. Done. I wouldn't even give them dinner. I would just cook dinner for Adam and I and we could eat together in peace. Good plan. Yep. God started working in my heart. Fairly certain this won't be the last time either. Really? Never give them dinner again? Not likely. I thought to myself, "What would Jesus want me to do in this situation?" Cliche, right? But the answer is more than slightly humbling. He would want me to turn over my selfish pride, my agenda, my expectations. I don't believe that means letting go of my desire that they would eat "thank you" bites with a grateful heart, but how can I expect them, sinners like me, to get it? At 2 and 4, really? Don't I still struggle to "get it"? Yes. And so I will keep doing what I've been doing. Cook a meal for the family and what's eaten is eaten and what's not is not and it's not the end of the world. The important thing is leaving a legacy of time spend together as a family. A legacy where meals are not a battle, where food is not the issue. The issue is the heart...theirs and mine. Thank you, Lord, for your sweet conviction. So gentle and loving...always. For revealing my sin. Please help me to give my girls grace, as You've given me grace. 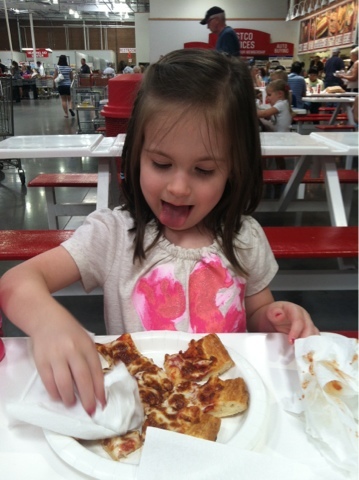 Just gettin' the grease off her pizza "like Grampa does"! Yes, that's Reeepunzel, not Rapunzel. At least, according to Charlee that's how it's pronounced. Sure is a good thing you have a crafty Gramma! "What in the world is this ridiculousness you're putting on my head?" "Okay guys, you might find this funny and all, but is it really necessary?" "That's enough of that. Can't a girl just play with rocks uninterrupted?" This isn't something I talk about often because, quite honestly, I don't love the topic. Some might say it's inappropriate to be so open about it, but frankly I don't care. Over 12 years ago I found myself severely depressed and on the search for a medication that would make it all better. It took about 2 years to find the right medication, the one that "worked for me", and it was awful...hell. So, for over 10 years I've been on this anti-depressant with occasional bouts of thinking I was okay enough to stop taking it. Cold turkey. Never a good idea. 10 years. And now, I am almost completely anti-depressant free and, more importantly, depression-free. At least the clinical type. Of course, I still have moments, sometimes days, when I get down and wonder if what I feel is normal, but I'm becoming convinced over time that it is. I'm so grateful for the psychiatrist, Dr. Robert Sivak, that I found over a year ago. A Bible believing Christian. Yes, there really is a psychiatrist out there that loves Jesus, too! Really? I know, I didn't think it was possible either. He is so wonderful because for the first time I have a doctor who wants to get me off medication, not put me on more! God has been so good to me through this journey. I have adamantly refused to believe that I needed to be on medication for my whole life, while all the doctors I've seen until now have told me just that. But God... He has been faithful to me! While some might say that being on medication means that I haven't trusted God to heal me, I would argue just the opposite. Being on an anti-depressant is what required me to trust God more. To trust Him that if I did, in fact, have to be on this stuff the rest of my life, ultimately my life is in His hands anyway. I praise Him, the Creator of my body and my mind, because I am fearfully and wonderfully made. Yep, it's hard to believe this sometimes, but I know it's true because He says so and I will choose to believe Him. Thank you, Mom, for taking Charlee on Friday and treating her to a special day with you...just her. While Charlee was off having fun adventures with Gramma, Andee had Mama and Daddy all to herself and lots of time to rest and recover from being sick. and many a book was read. And then, the reunion! Truly, there is nothing better than when the girls are reunited after being apart for a time. Sweetness all around! Charlee was so concerned about Andee and whether or not she was feeling better. She just couldn't wait to get home to give Andee a special Minnie Mouse that she had chosen for her while with Gramma. 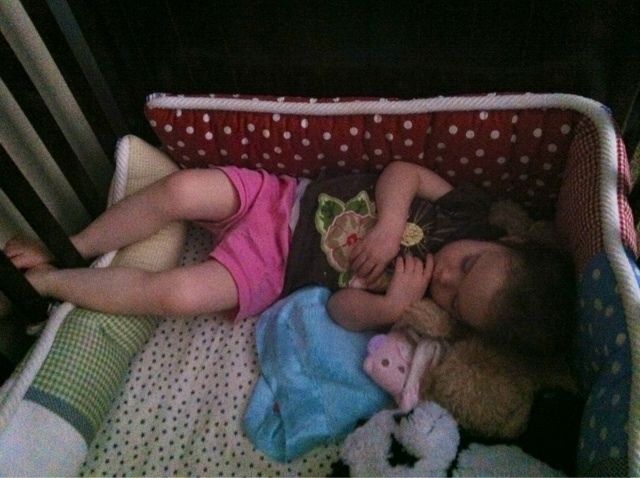 My little Andee is sick. And when she's sick she's not happy...I mean, like, really not happy AT ALL! So I was thinking about how having a sick child can be inconvenient. If she's not being held and cuddled, she's crying which makes it difficult for a task-oriented mama to get anything done. Life has to slow down...I like it. I don't like that she's sick, but I like the reminder that sometimes being a mama just means that you are the arms that are there to hold your little one like no one else can. All of this got me thinking that I am grateful. I am grateful, first of all, that I am the one that gets to be home with my girls. My arms are the ones that get to hold them. 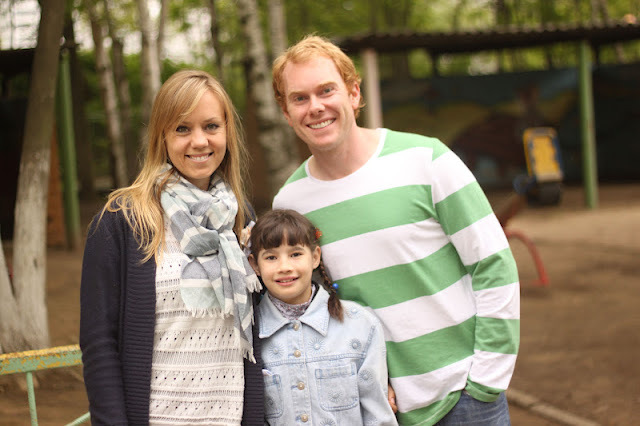 I think of the babies and children in the orphanage in Russia where Andrew and Amy just were. They don't know what it is to be held, to be loved. They don't know the touch of a mama or a daddy. They don't even know what it is to cry for a mama or daddy because they've been robbed of that relationship. So, in the middle of the night when I get to hold my baby because she hurts, I thank God for the inconvenience. The inconvenience of a sweet moment at 1:00am to cuddle my little one in a way no one else can because I'm her mama and she will always be my baby girl. Daily I am reminded how quickly time goes with these little ones and I just don't want to miss a second of my time with them. These days Charlee seems so grown-up. She's starting to ask questions that show me a new and deeper level of understanding of the world around her. She's four and a half now and her personality is just blooming. Charlee Girl, you have got to be the absolute sweetest, most caring, nurturing, loving, helpful little girl I know. Not a day goes by that you don't sit down to breakfast and help Andee get her vitamins and put her bib on and scoot her chair into the table. You clean up after yourself by taking your dishes to the sink and putting your cup back in the refrigerator. And you do these things joyfully. You race into the kitchen when you know I'm about to set the table for dinner and want to help get all the silverware and napkins out. You are a delight! Tonight, sweet girl, you made your mama proud. I was sad and frustrated when you and Andee didn't try the dinner that I prepared tonight with a grateful heart. I let my emotions get the best of me and stood at the sink crying while cleaning up from dinner. Daddy took you and Andee upstairs to play so I could finish and re-group. I stood there with this verse replaying through my mind, "Be kind to one another, tenderhearted, forgiving each other, just as God in Christ also has forgiven you." (Ephesians 4:32) Finally, I was reminded that while you weren't grateful, I was still called to forgive you...not to threaten never to cook dinner again like I had decided previously! Just a few short minutes later you came downstairs and said, "Mommy, I'm sorry I didn't eat my dinner." Of course, I had forgiven you and let you know that and we hugged and everything was made right. You bounded back upstairs after our "moment" and everything was right in the world again. It wasn't until a bit later that Daddy came down and I thanked him for having you come apologize to me. To my surprise he said that you had decided to come apologize to me all on your own, that he didn't prompt you to do that. Apparently, you had asked him why I was crying and he told you and you said, "I think I should go apologize to Mommy." Oh my goodness, really?!?!?! You did this all on your own. You have no idea how much joy I felt in that moment. You, sweet Charlee, are precious and while you don't fully grasp the concept of sin, repentance and forgiveness, I have hope that one day you will. I know this may seem like a silly example to you of why I love you so much, but it's in those little moments as you will one day know that love and family mean the most. I love you, peanut! Check out these awesome kicks! Can’t wait for Maria to come home. She'll have all kinds of fun shoes for me to wear too, I’m sure. Aunt Ashley thought I needed help brushing my teeth. Hasn’t anyone told her I’m a boy and I can do it myself? Adventures at Alta Vista Gardens. Are his feet touching mine? Seriously, Andee, I’m a nice guy...I promise. Just give me a chance. Ah, she’s gone. At least Charlee and I can be friends. She even shares her popcorn with me.